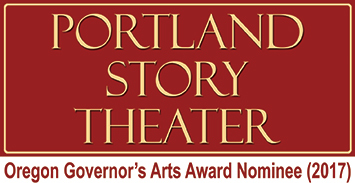 Portland Story Theater offers a variety of ticket options, making theater accessible to everyone in the Portland community: single tickets $15-$20 and discount tickets $5 through Arts for All! You can experience live storytelling every month at The Old Church Concert Hall, located in downtown Portland at 11th and Clay. All events produced by Portland Story Theater offer advance tickets for $15 and are available for purchase until the day of show. Tickets on the day of the show are $20. Portland Story Theater is proud to be part of Arts for All PDX, which allows holders of the Oregon Trail Card to buy tickets for a reduced price of $5 each. If you are eligible for Arts for All tickets, you can purchase tickets in advance or at the door. Limit of two tickets per purchase, subject to availability and you must present your Oregon Trail Card. Visit the Arts for All website if you need more information. Please note that other producers ticket prices + fees vary from those offered by Portland Story Theater.